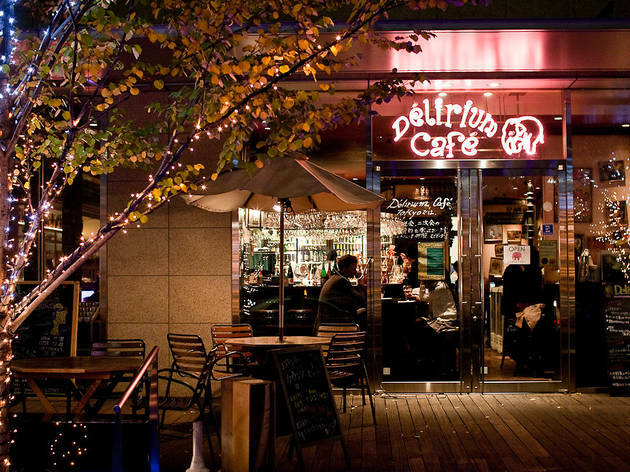 The first Tokyo outpost of Belgium's famed Delirium Café is located in the heart of the Kasumigaseki office district, meaning that it's crawling with salarymen on most nights of the week. 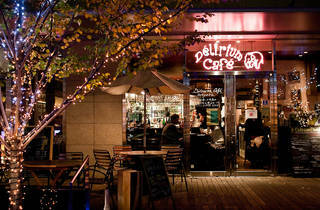 Though it can't hope to rival the 2,000-plus beer selection of its Brussels counterpart, it boasts upwards of 60 bottled varieties, with around a dozen available on tap. Predictably, it isn't cheap, although the high alcohol quotient of many of the brews on offer ensures that they go a lot further than your average lager would. The food menu includes Belgian staples such as steamed mussels and carbonnade flamande beer stew alongside tortilla, cured ham and Hokkaido venison.